The week before Easter in Costa Rica is called Semana Santa or Holy Week. The week provides a break for students, time off from work for many adults (those who do not work in the tourism industry) and a time to visit family members that live in other parts of the country. In other words, spring break! 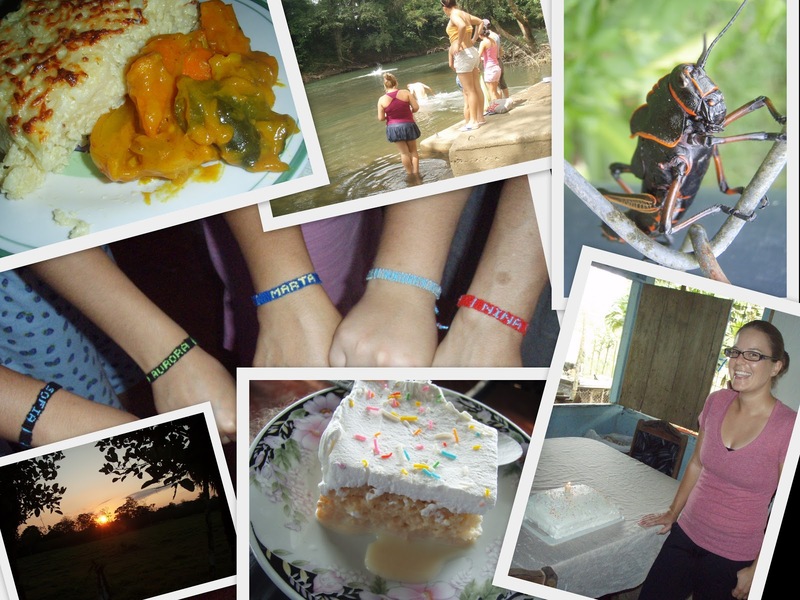 For us, Semana Santa meant camp, a house full of María's family, birthdays and swimming in the river. It may not have been a relaxing week as some may view a week of vacation, but it was an enjoyable one. We offered camp to community youth Monday, Tuesday and Wednesday. 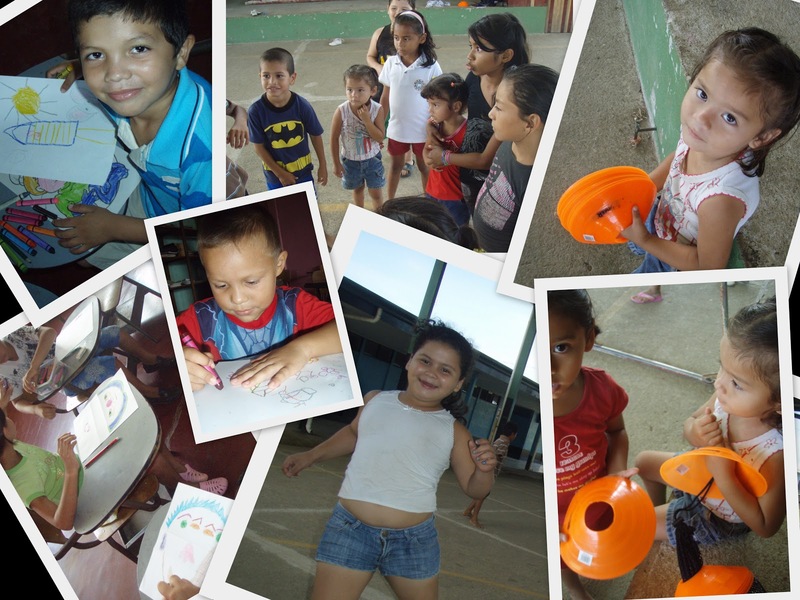 We did art projects in the mornings (drawing, coloring and origami) and played games in the afternoons (cards, tag games, relay races and soccer). We had a great turn out on the first two days, but then kids started disappearing for their own family get aways. There were not buses to or from town after 11:45 Wednesday morning through Saturday morning at 8:00. In that time we walked with friends, celebrated birthdays (mine and a host sister's boyfriend's), ate a lot of cake, visited the cayman that lives in the river out by the colegio and caught up on some reading. These were relatively low-key days during which we were mostly left to ourselves while María caught up with her sisters that she hasn't seen in several months. We caught the first bus out of town on Saturday to go visit Rafa's sister and the river in Puerto Viejo. After spending some tentative moments on the river bank we made our way into the river to brave the chill of the water and the strength of the current. We walked upstream so that we could then float back to our point of entry. We found sand sculptures during a beach walk and watched as a tour boat passed us by. After thoroughly exhausting ourselves we returned to Rafa's sister's house to clean up and fill our bellies. The rest of my weekend was spent making personalized bracelets for all. This was the end result of teaching a "cousin" how to make a simple friendship bracelet. She asked to see some of the others that I had made and those on hand were personalized ones that will be given out to students completing programs that we do. She in turn showed them to everyone else and that resulted in persistent questioning as to whether or not I could make bracelets for the visitors. It was a lot of work but they loved them. When everyone left Sunday afternoon, we took the chance to breathe deep and enjoy the silence.